Messiah College Ministries will be changing the chapel program beginning this fall 2015 semester. There will be three different worship services offered throughout the week on Tuesday mornings, Tuesday evenings, and Thursday mornings. Tuesday morning worship will continue to be held in Brubaker. It will feature contemporary worship in a large group setting. Its focus is to bring students together through Biblical teachings to exalt the Lord Jesus. The alternate chapel program will no longer be offered. In its place there will be a Tuesday evening worship service at 7:00 p.m. in Hostetter. Different guests and campus associates will focus on how the Christian faith shapes life and culture while examining difficult questions. Thursday morning chapel will be two six-week mini-series each semester. Small groups focused on bible studies, book discussions, service action, and more will meet at various locations across campus. Students can sign up for a small group at the beginning of the semester to connect with each other and nurture their faith. In addition to small groups, Kairos and World Christian Fellowship will be held on Thursday mornings in Parmer Hall. The new program comes after College Pastor Dr. Don Opitz says he and others at Messiah noticed the need for change. “I talked to too many students in the past year who had attended chapel that morning and I’m talking to them in the afternoon and they can’t remember anything that happened in chapel, what the text was, who the speaker was, or that it made any difference at all. That’s not just heartbreaking to me, but when the student realizes it, it’s heartbreaking to them too,” he says. The new chapel program reflects the Messiah College Ministries mission and outcomes. The full mission and outcomes can be viewed on the Messiah College Ministries website at http://www.messiah.edu/ministries/. The outcomes are meant to guide students towards a deeper knowledge of God, self, the Bible, relationships with others, and cultures. Opitz hopes that providing students with new options will lead to the fulfillment of these outcomes and lessen pessimistic feelings towards the requirement. “Students are always going to resent being required to do something and it begins to develop a culture of cynicism that I don’t want,” he says. Despite the changes, there will still be a chapel requirement. Students must now earn at least fourteen chapel credits a semester, as opposed to twenty-four. Those fourteen credits can be from any number of Tuesday morning, Tuesday evening, or Thursday morning services. The new schedule and requirements also provide a more balanced week. Tuesday morning worship and Thursday night Powerhouse will provide two contemporary services. The lessened requirement may also motivate students to attend a local church on Sunday mornings. “I think if we’re doing our job right we’re not unchurching students but we’re encouraging church involvement and we’re equipping church leadership,” Opitz says. In addition to the lessened requirement, chapel probation has also been changed so that it is no longer coupled with the registration process. If a student fails to receive the required fourteen chapels, he or she will owe a $15 fine for each chapel short. If a student is on chapel probation for two semesters in a row, he or she must meet with a Ministry staff member. After three semesters on chapel probation, the student may be subject to suspension. “I think my job is to see the delta and the delta’s the change. 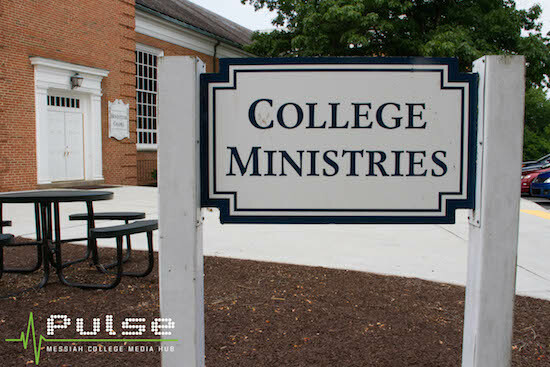 Change is what college is for and the chapel program at a place like Messiah is committed to change as well. It’s committed to a kind of transformation of college students in the direction of deeper faithfulness. I want to see student transformation. I want to see deeper faithfulness,” Opitz says. The new chapel program will begin at the start of this academic year in September. Messiah College Ministries will be providing more information on both its website and MCSquare.